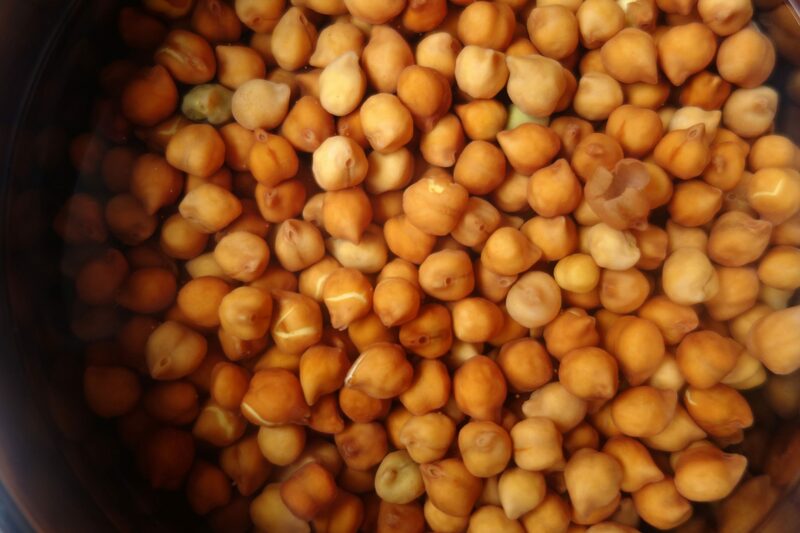 Blackchickpeas/ Kala chana like lentils, chickpeas, beans is another variety of healthy legumes, that is a very good source of plant based protein.It is different from the regular chickpeas, as in it is dark brown and smaller in size . 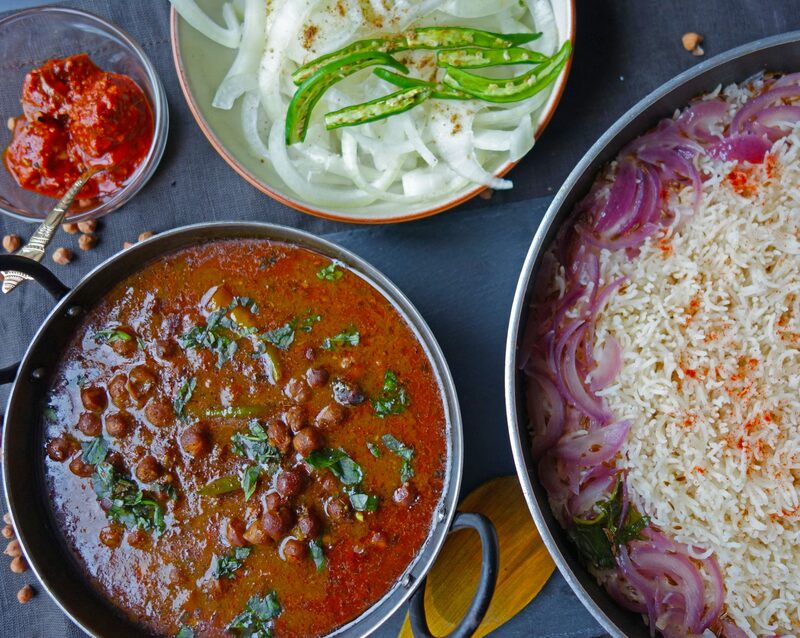 As all other pulses, these are low in fat & cholesterol, high in dietary fiber and rich in protein, making them an excellent heart healthy food choice with established health benefits.This is one of a very good vegan option ,to add to your diet, if you are looking for plant based rich source of nutritions. 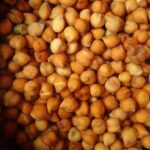 Black chickpeas in the form of soups, curry, dry, or roasted in your snacks, is considered really healthy especially for the bones.This is a must have in your diet, atleast once a week during winters. As per my mum, the best vegetarian alternative to chicken soup for colds/respiratory issues, and for stronger bones, is the kala chana(black chickpeas) soup topped with a tsp of ghee!!! 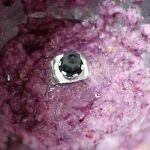 Winters in UK are really harsh, and all of us ,specially kids are really, easily prone to all sorts of infections and colds. 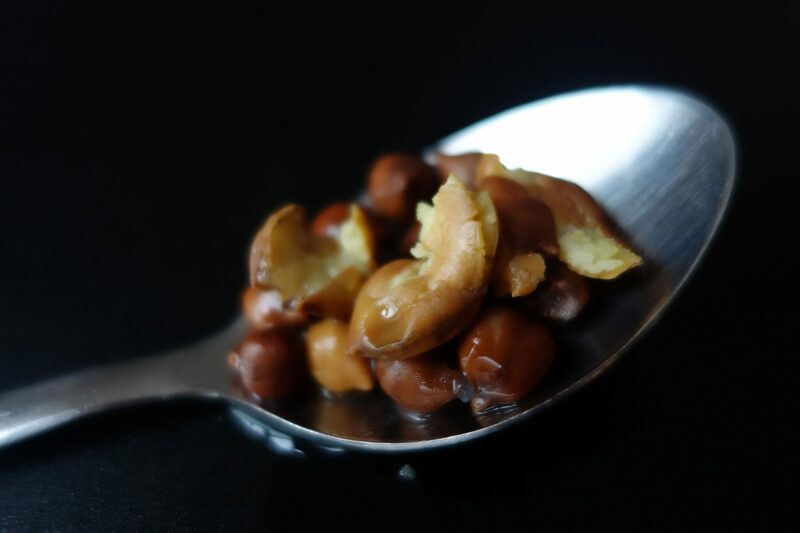 So whenever I boil black chana’s for curry, I take out a little bowl of the boiled chickpea soup (water), add a little ghee and give it to my daughter during winters.It really really works! Don’t believe me? try it! It boosts your immunity. 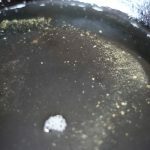 As this is a whole gram, to cook it properly,It needs to be soaked overnight or for a minimum of 5-7 hours.Then the soaked chickpeas are boiled, and used whichever way you want to use . 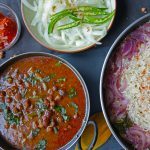 In Punjab black chickpeas curry is a regular in all homes, and sometimes it is made dry with a spicy tempering of onion, ginger, garlic, chopped tomatoes and dry spices . On Ashtami (One of the Indian festivals), these are made in dry form without any onions, garlic and tomatoes, and we have these with poori(fried Indian bread) and halwa, and these taste delicious to the core! 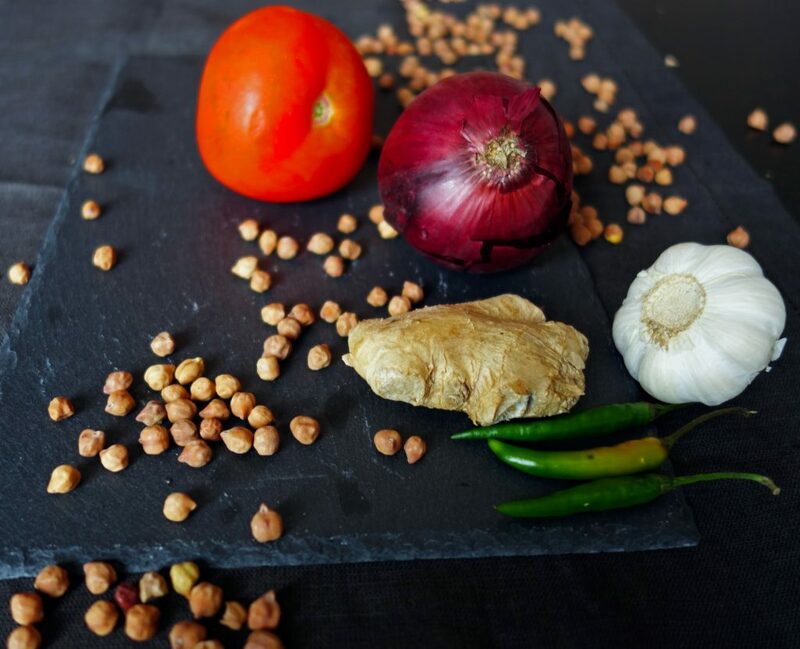 Todays recipe id black chickpea curry. Check out the details below. 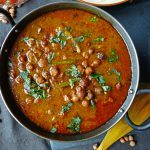 To make this recipe( black chickpea curry), boil the soaked black chickpeas in a pressure cooker with a little salt for about 20-25 minutes on medium heat. 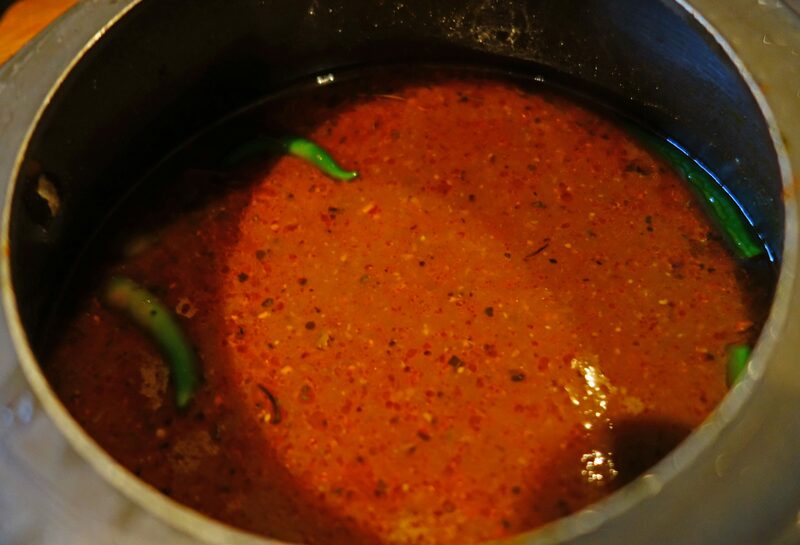 I add a tsp of mustard oil while boiling, as it really imparts a really nice flavour to this curry. This is optional and you can even skip adding oil. Open the pressure cooker and check for doneness. The chickpeas should be soft and you should be able to crush them with two fingers. On the other side, prepare the tempering. 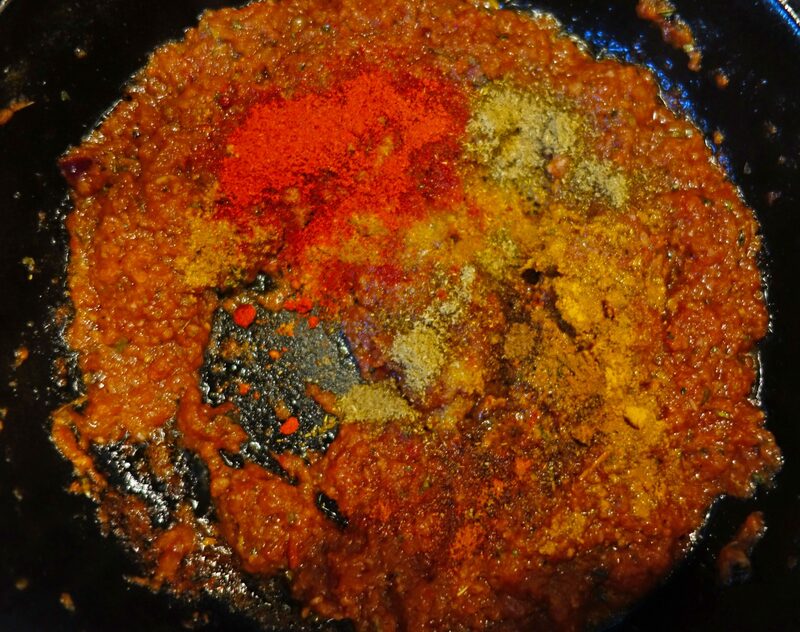 For tempering you need asafoetida powder (hing), onions, ginger garlic paste or crushed/grated ginger garlic, tomatoes, cumin seeds, green chillies (optional),salt, red chilli powder,turmeric powder,degi mirch, coriander powder, garam masala,kasoori methi . 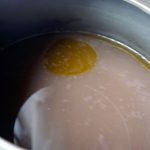 I usually prepare this tempering in pure ghee. But you can use any other oil of your preference. Also to make this vegan replace ghee with any plant based oil. 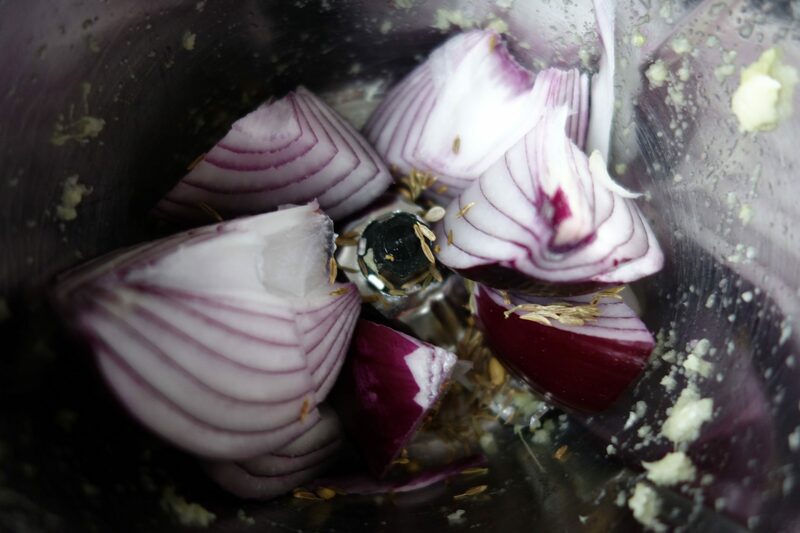 In a mixer grind onions and cumin seeds together to make paste.This need not be very smooth.See the picture below. 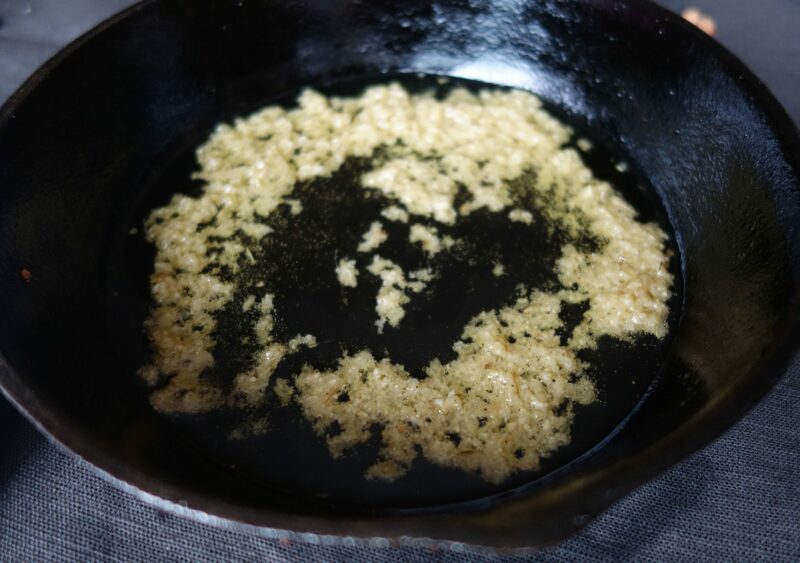 In a pan heat ghee, and add hing powder (asofaetida). Add ginger garlic paste , or crushed ginger and garlic. Saute till the raw aroma goes away, and it turns golden in colour. 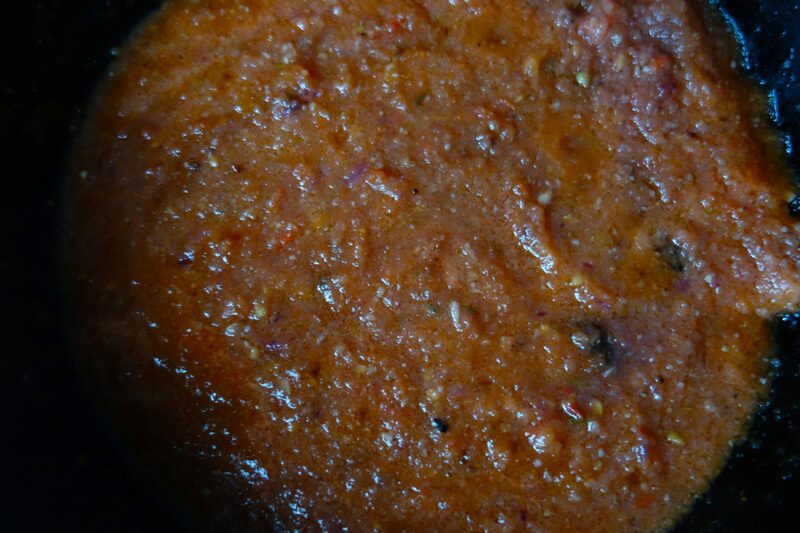 To this, add onions, cumin seeds paste. 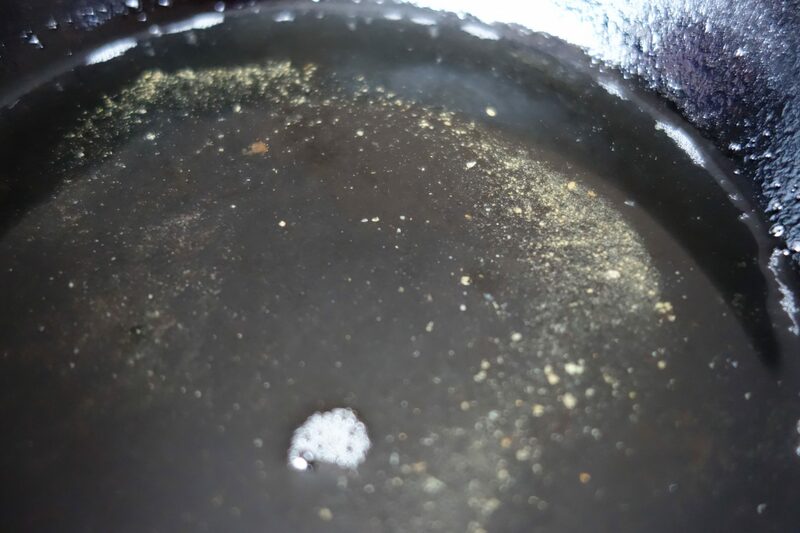 Sauté these till the paste changes colour ,starts turning light brown, and starts leaving oil on side. 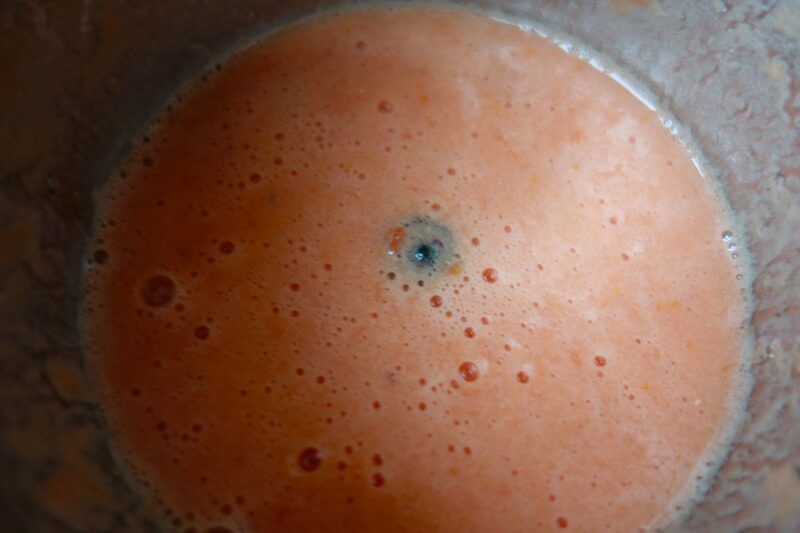 Now add pureed tomatoes. 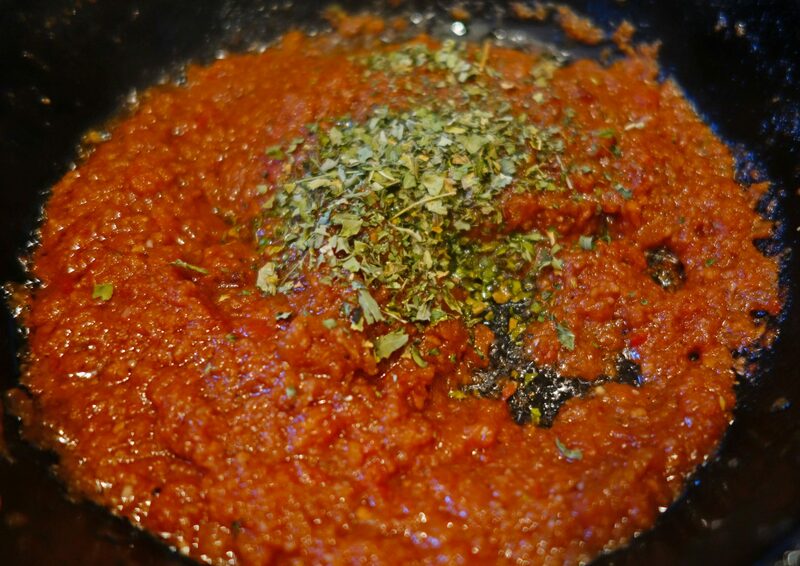 Sauté this, till tomatoes are completely cooked, and start leaving oil on sides. 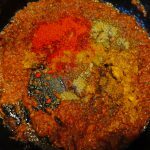 Once cooked add the dry spices- salt, red chilli powder, degi mirchi powder, turmeric powder,coriander powder, garam masala powder.Mix well. 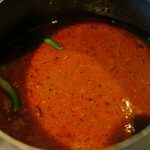 Add green chillies (whole / sliced or chopped) .I usually add whole, as I do not want to make the curry too spicy, but still need the green chilli flavour. 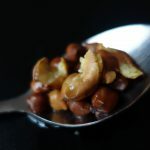 Once the tempering is ready, add the boiled chickpeas to tempering( or add tempering to boiled chickpeas), and stir well. Let the chickpea curry simmer, and again pressure cook it for one whistle. 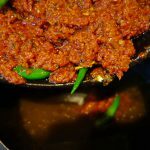 Serve it with rice, naan, or fresh roti, and salad. It will be one hearty healthy meal, that your family will enjoy. 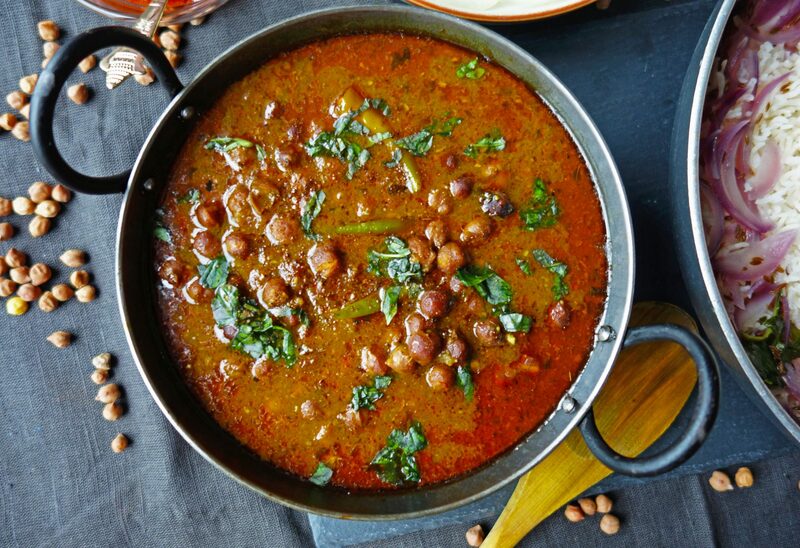 Boiled black chickpeas (kala chana) simmered in aromatic onion tomato gravy, to make a perfect healthy meal with rice or roti. Add the soaked black chickpeas(soaked overnight or for minimum of 5-6 hrs) in a pressure cooker with a little salt . 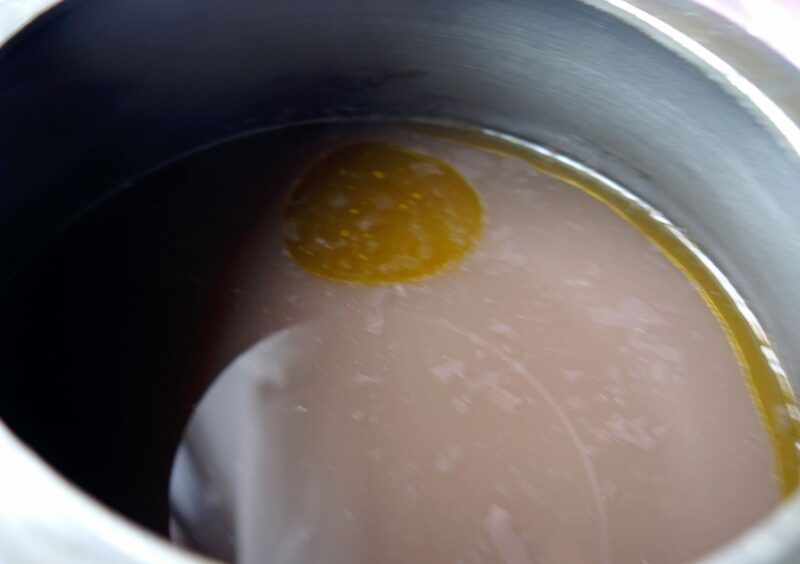 Add a tsp of mustard oil . 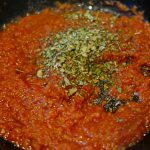 This imparts a really nice flavour to this curry. This is optional and you can skip adding oil. Pressure cook for about 20-25 minutes on medium heat. 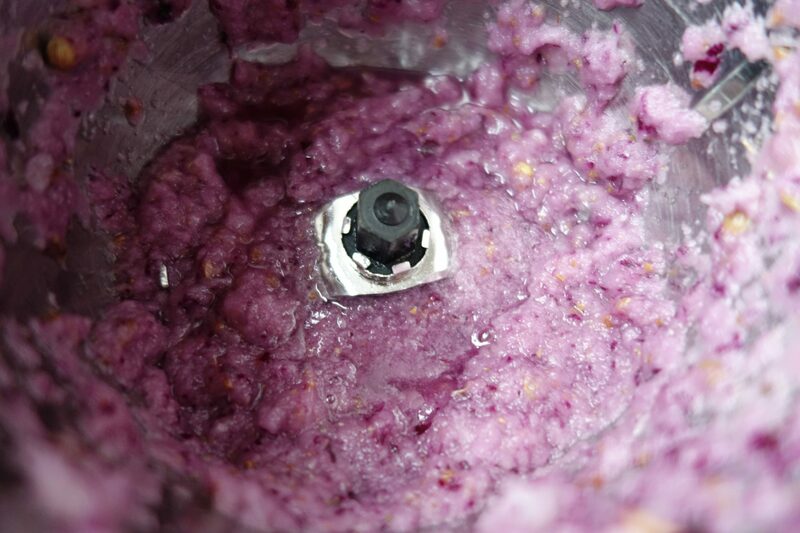 In a mixer grind onions and cumin seeds together to make paste.This paste need not be very smooth.Keep aside. Add ginger garlic paste , or crushed / grated ginger and garlic. Saute till the raw aroma goes away, and it turns golden in colour. Add onion, cumin seeds paste. Sauté these till the paste changes colour and starts turning light brown, and it starts leaving oil on side. Sauté these ,till the tomatoes are completely cooked, and start leaving oil on sides. 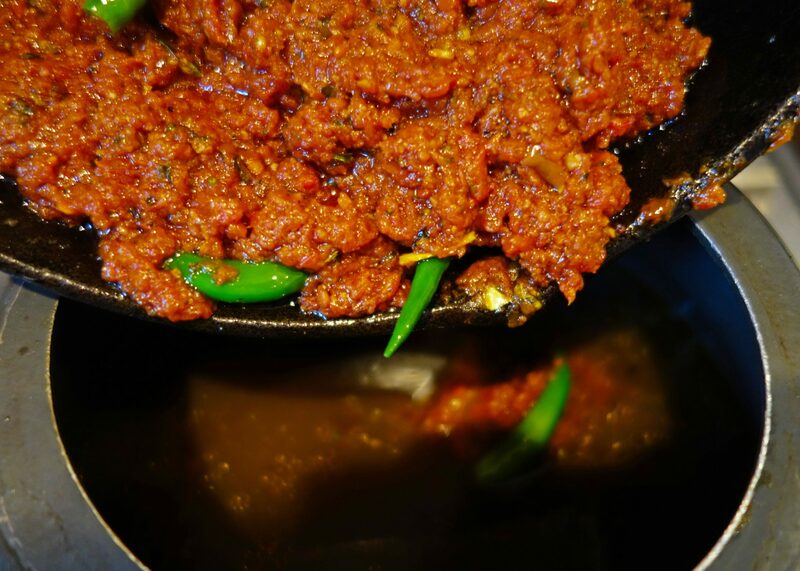 Add green chillies (whole / sliced or chopped) . Once the tempering is ready, add the boiled chickpeas to the tempering( or add tempering to boiled chickpeas), and stir well. 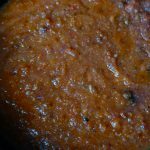 Serve it with rice, naan, or fresh roti, and salad. It will be one hearty healthy meal, your family will enjoy. 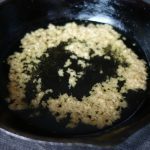 In this recipe I use ghee, but to make this vegan replace ghee with any plant based oil.